I would have liked to get out into the garden today, but it has been rainy and cold here, and the veggie garden is a muddy mess. So we made play dough gardens instead, and I made some fun garden play dough mats. Instead of being cold and wet outside in the real garden, with a few lumps of play dough, and some accessories, we were soon busy in our play dough garden. Did you know you can grow play dough carrots in a pot? 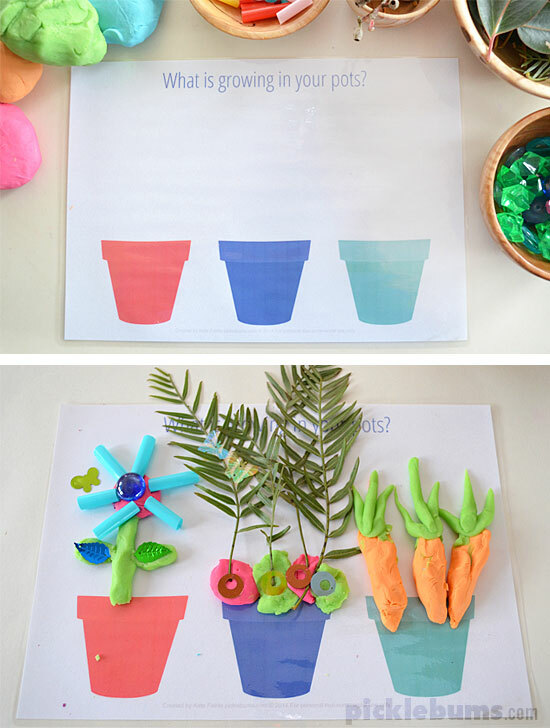 You can download the ‘What’s growing in your pots?’ play dough mat here. There was even a worm wriggling around under the soil! 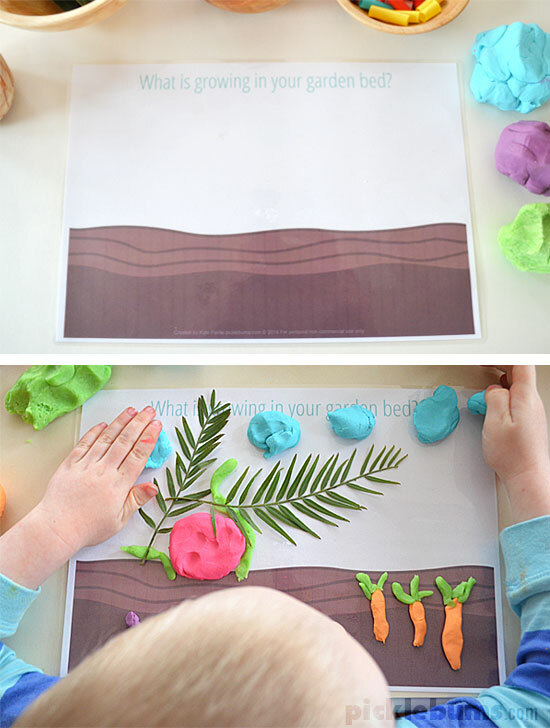 You can download the ‘What is growing in your garden bed?’ play dough mat here. There are sequin blossoms on our tree too, just like the trees in our orchard right now. 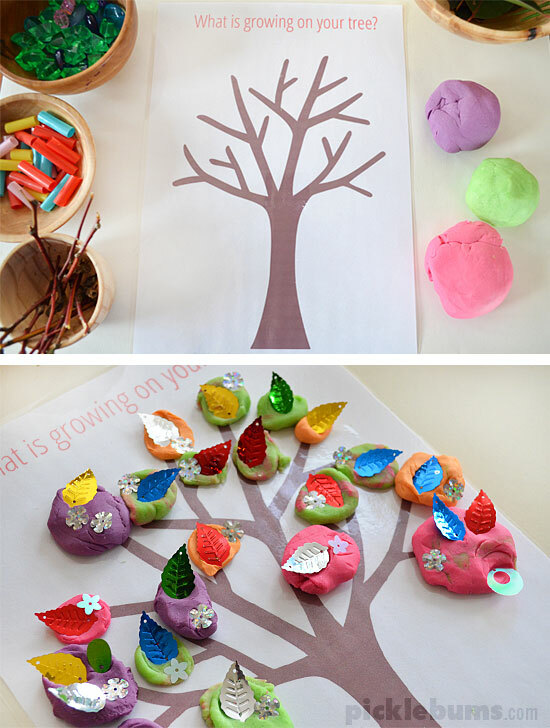 You can download the ‘What is growing on your tree?’ play dough mat here. We used our lovely soft microwave play dough with our garden play dough mats, and a collection of loose parts and accessories. I’ve shared some affiliate links below to similar items, but most of these things can be picked up at your local craft or dollar store, or just use whatever you have on hand. You can make your own play dough garden, just print out the play dough mats and laminate them, or cover them in self adhesive paper. You can also use plastic sheet protectors, or write and wipe pockets. 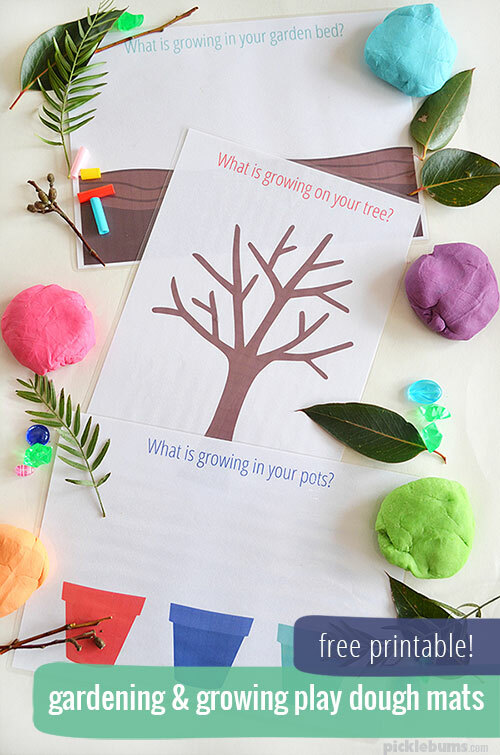 What will you grow in your play dough garden? When you are finished planting your play dough garden, you might like some of our other free printable play dough mats. Thanks for these Kate, once again you’ve come up with a fantastic activity that Ez is bound to love. Oh my goodness, these are BRILLIANT! SO great for all ages too. That’s the best thing about play dough… even my ten year olds still love it! These are great Kate! I’ll be printing these off for my playgroup at Kids Like Us. I hope you enjoy them as much as we have! If you have any ideas for more play dough mats please let me know! Love your play doh mats. I print them and let the children color them in. Please make more. We are doing them right now – starting NSW school holidays with some play dough fun for 4.5 and 2.5 yr olds (and visiting Grandma). I can’t get enough of your play dough mats Kate – thanks for helping to prompt creativity in this household. So lovely to hear that you are enjoying them! Feel free to let me know if you have any other ideas for play dough mats… there will definitely be more in the future! Yes, as I said above, you can laminate them or cover them in self adhesive plastic for using with play dough, or dry erase markers/crayons or you can print them on plain paper (colour or black and white) as drawing prompts. Thanks for sharing, it’s very helpful, really! I’ll try it with my students. Love the playdoh printables they are so diverse and can extend play to so many areas the children will love them carnt wait to see what they come up with and the garden ones are exactly what I’ve been looking for for such a long time thank you . Under the image of each play dough mat is a line that says ‘you can download the ‘x’ play dough mat here’ – click on that link and it should automatically open the pdf document in a new browser window. If that doesn’t work you can right click on the link and choose ‘save as’ and download and save the pdf file that way. You will also need a pdf reader such as adobe acrobat (which is free to download) to open the file. These are fantastic! I hope you’ll make more – perhaps under-the-sea and zoo themes? Thank you! 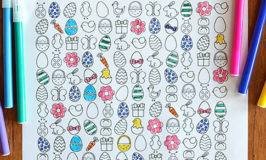 These are such wonderful printables, I am so excited to have found them on your site. Thank you for making them available to families. Thank you for your wonderful generosity and brillants ideas. I am guessing the page you came from was not on my site, so it will be difficult for me to guess which play dough mat you are talking about… but could it be this one? These mats are perfect …. simple but effective AND cheap to print out!